According to Deadline, one of Frank Herbert’s many non-Dune-related novels is going to be made into a movie. 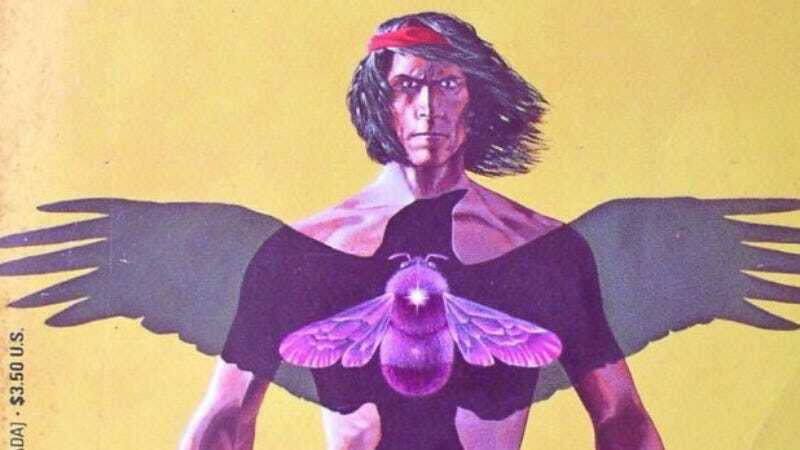 The novel is Soul Catcher, which tells the story of a Native American man who kidnaps the son of a politician as revenge for his sister getting raped. The man plans to sacrifice the kid as part of a vengeance ritual, but the two end up bonding and he starts to second-guess his mission. It all wraps up with a controversial ending, but it sounds like that might get reworked somehow. Smoke Signals’ Chris Eyre is signed on to direct, with Eight Men Out writer John Sayles working on the screenplay. Hopefully, everything in this production will go smoothly and we won’t get a documentary in 40 years that explains how great Eyre’s Soul Catcher would’ve been if only it hadn’t gone off the rails. Before that, though, David Lynch would get on board and make a totally different Soul Catcher movie with Kyle MacLachlan as the star.